Aloha! Additional construction time has been added to the timeline for our La‘i ‘Ōpua Village 4 Subdivision, Phase 1 – ‘Ākau project in Kealakehe, Hawai‘i, due to the unforeseen discovery of lava tubes. The largest tube or cavern was found fully collapsed and already filled in. All other tubes were sealed off as recommended by the Department of Health. No other tubes or caverns were found during any other excavations on the project. Plans are underway to convert the originally-planned boat parking lot into a residential lot. 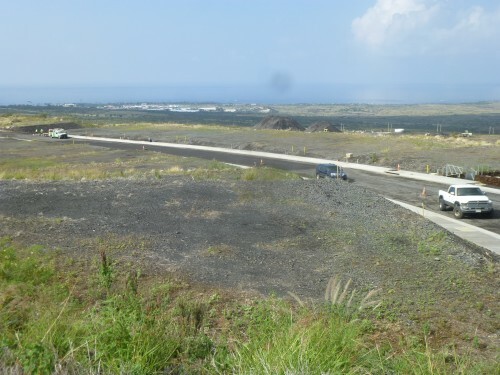 The Department of Hawaiian Home Lands (DHHL) and its contractor, Isemoto Contracting Company, Ltd., are looking at possibly placing a new boat parking lot on land originally planned for a community park. Due to insufficient water credits, DHHL removed the park from the construction plans. The area is now an open lot. Plans for the boat parking lot are not yet confirmed. If there are any concerns or questions relating to construction activities, please contact Karen Gast of R.M. 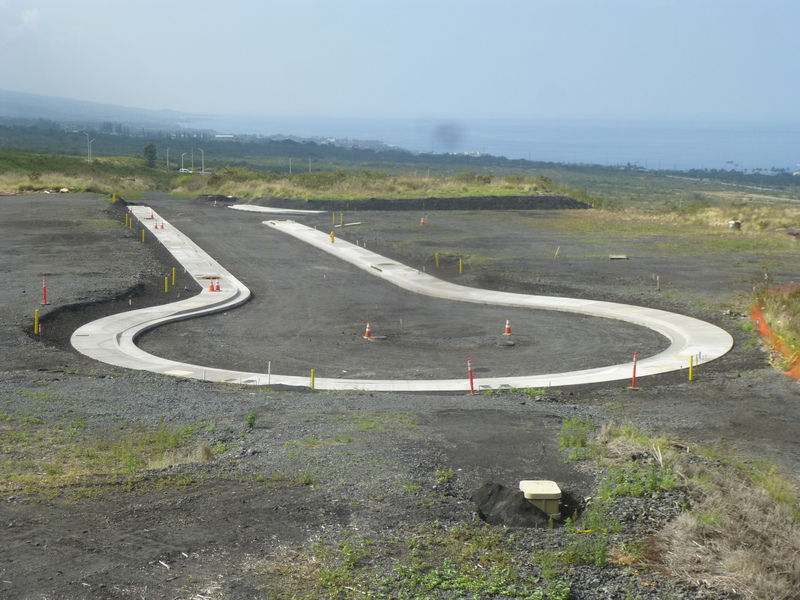 Towill Corporation at 329-4494 or via email at [email protected] All other questions shall be directed to the Department of Hawaiian Home Lands (DHHL). See Project Contacts on the second page of this newsletter for contact information. The Boat Lot has been converted into a Home Lot. The option of providing Boat Parking within the Park is under consideration. See Map of Work Area below. 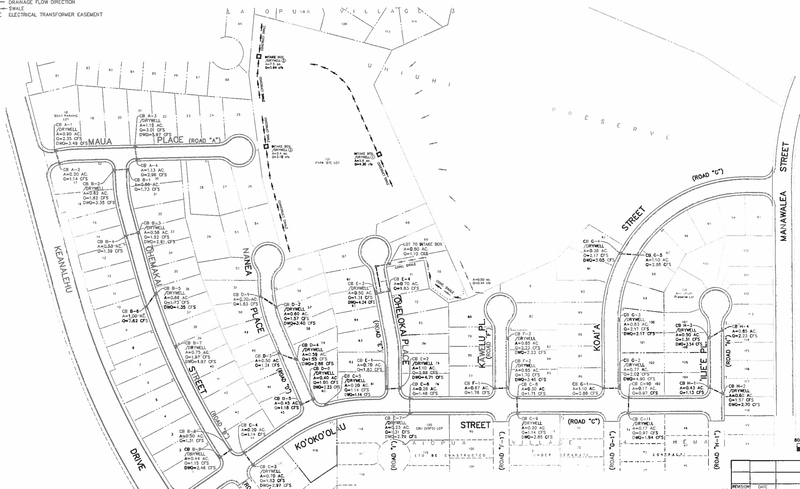 The La‘i ‘Ōpua Village 4 Subdivision, Phase 1 – ‘Ākau will consist of one hundred and eighteen (118) single family residential lots, a cluster mailbox lot, and related infrastructure improvements. 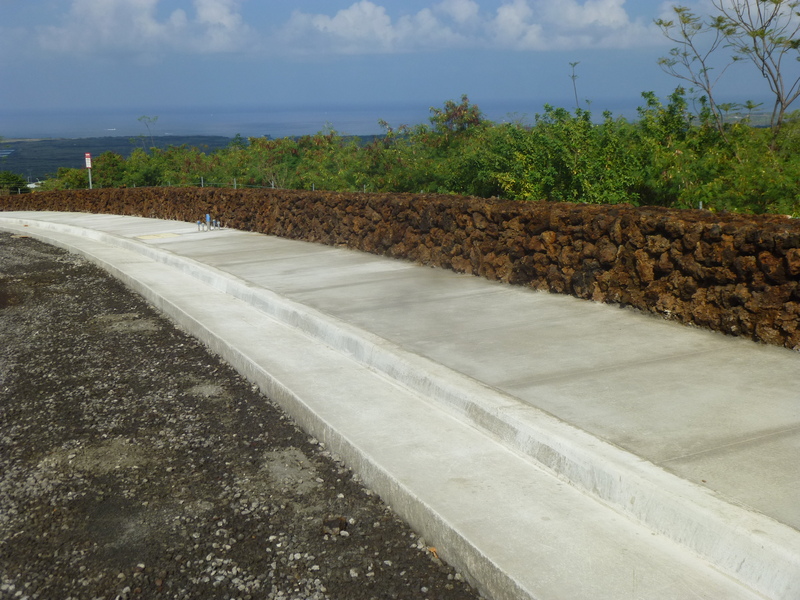 The infrastructure improvements include roadways, a potable water system, a sanitary sewer system, drainage improvements (drywells), street lighting, and electrical and telecommunication systems.